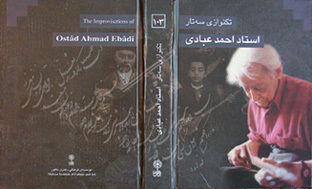 Ahmad Ebadi was born in 1906 in Tehran. He was Mirza Abdollah's last son and was only 7 years old when he lost his father. His 2 sisters, Moloud and Molouk, and his brother Javad had remarkably well understood their father's spirit and learnt Tar and Setar from him. Ostad Ebadi began his Setar Apprenticeship with his sisters and at the age of 18 became an excellent performer. He had a very specific way of playing Setar. During many years his performances were broadcasted in the National Radio especially in the "Golha" Program, either in solo or in group. 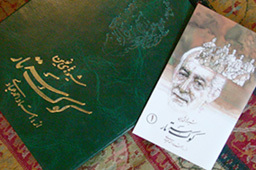 His Last works were gathered by Ostad Hossein Tehrani, great Master of Tombak and one of his best friends, in a book called Shahnavaz. In 1992, he died in Tehran and this was the dissapearance of the last member of what was called the Family of Art, Agha Ali Akbar Khan Farahani(the most preeminent musician of the Qajar Period)'s family.